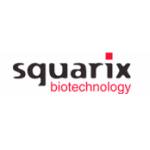 Squarix GmbH is a science driven product and service oriented privately held biotechnology company, offering high purity Discovery Chemicals, Innovative Reagents and Antibody Technology Services for the biomedical market. Since 1992, Squarix produces a broad product line of compounds that include innovative building blocks, reactive intermediates, natural products and derivatives, screening compounds for drug discovery industry and reagents for life science applications comprising polyclonal and monoclonal antibodies, metabolic intermediates, MedChem conjugates and fluorescent dyes & probes. We commit ourselves to provide researchers with novel high quality products constantly enlarging our product range. Squarix also focuses on custom research and development. Our highly skilled scientists are experts in antibody- and cell culture techniques as well as biochemical and synthetic organic chemistry.